CHINT is a world renowned smart energy solution provider. To comply with the trend of integrated development of modern energy, intelligent manufacturing and digital technology, CHINT has adopted the One Cloud & Two Nets as business strategy. As the platform of intelligent technology and data application, CHINT Cloud fulfills digital application and services in both internal and external. Based on the Industrial Internet of Things (IIoT), CHINT built an intelligent manufacturing system and realizes intelligent application in electrical industry. Relying on the Energy Internet of Things (EIoT), CHINT built its smart energy system and develops the regional EIoT mode. Focusing on energy system of supply, storage, transmission, allotment and consumption, CHINT has core businesses of clean energy, energy allotment, big data and energy value-added services. Furthermore, CHINT pillar businesses include photovoltaic equipment, energy storage, power transmission & distribution, low-voltage apparatuses,intelligent terminals, software development and control automation. With developing into a platform enterprise, CHINT provides a package of energy solutions for public institutions, industrial & commercial users and terminal users, by building a regional smart energy operation ecosphere. Founded in 1984, CHINT has developed business network in over 140 countries and regions with more than 30,000 employees. CHINT has reached annual sales of 10.5 billion USD in 2018, ranking top 50 Asian Listed Companies and top 100 China Private Enterprises. CHINT has actively explored overseas markets, has established 3 research and development (R&D) centers in Europe, North America and Asia Pacific, 6 marketing areas in China, Asia Pacific, Europe, West Asia and Africa, Latin America and North America，and manufacturing bases in Germany, Thailand, Malaysia, Egypt, Singapore and Vietnam.CHINT has adhered to the localized marketing strategy, building the intelligent sharing of global resources and collaborative business platform, and cooperating closely with local medium and high-end enterprises to achieve continuous and steady growth of global business. CHINT has stuck to the industrial development and innovation-driving concept, actively promoting the development of global R&D system, and establishing the CHINT Group Research Institute, which has 18 professional technology research institutes and 3 overseas R&D centers. Till 2018, CHINT has won more than 4,000 patent licenses and 5,000 patent applications, on top of that, CHINT leaded the formulation of 185 industrial and national standards, and won 32 national and provincial science and technology awards. CHINT Group Technology Center has been awarded the “National-Recognized Enterprise Technology Center”, and has successively won honors and titles such as the “National Technology Innovation Model Enterprise”, “Key Enterprise Research Institute of Zhejiang Province”, “National High and New Technology Enterprise”, “China Excellent Industrial Design Award”, International “Red Dot Award” and “Innovation Award of China Industry-University-Research”. CHINT has unswervingly adhered to people-oriented and value-sharing culture with the mission of “making the electric power even safer, green, convenient and efficient”.CHINT builds its image of green, energy-saving, sustainable innovation, reliability comprehensiveness, and win-win cooperation with “customer-focused, innovation, humble learning, integrity, collaboration, responsibility” as core values, and “creating values for customers, seeking career development of employees and taking on responsibilities for the society” as operation concepts. CHINT has positively taken on its social responsibilities. 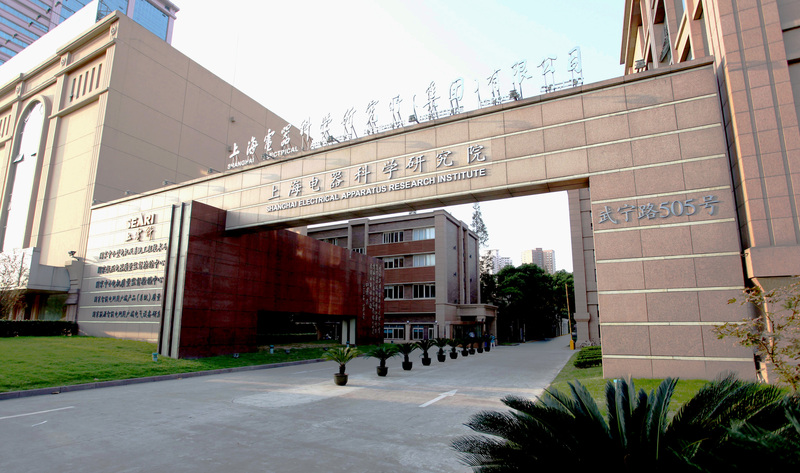 It has successively invested and set up “CHINT Moral Quality and Academic Excellent Scholarship for Chinese Middle School Students”, “CHINT Education Fund for Impoverished Undergraduates of Zhejiang Province”, and CHINT initiated the establishment of “Poverty Alleviation Association of Yueqing Private Enterprises”, “China Red Ribbon Foundation”. CHINT has invested 90million yuan to establish the “Commonweal Foundation of CHINT”,advocating green and environmental-protection concept, actively participating in various environmental protection and green public welfare activities. From the links of product planning, design, research and development, manufacture to delivery, operation and maintenance, CHINT always provides users with clean, efficient, smart energy solutions and products, and has been dedicated to fulfilling corporate sustainable development. So far CHINT has donated more than 300million yuan for social welfare undertakings such as poverty alleviation, education donation, earthquake resistance and disaster relief,social welfare entrepreneurship, ecological and environmental protection. Through the technological innovation and remarkable contribution to the industry,CHINT has successively won honors and titles such as “China Grand Awards for Industry”,“National Quality Management Award”, “China Outstanding Private Scientific and Technological Enterprise”, “Top 10 Enterprises with the most Core Competitiveness of China Machinery Industry”, “Top 10 Leading Enterprises of Chinese Private Enterprises for Independent Innovation”, the “National Enterprise of Abiding by Contract and Credit”,“National Advanced Private Enterprise in Employment and Social Security” and “China Charity Award”, etc. He is currently a member of the board of directors of CHINT Group Co., Ltd., the Standing Committee of the CPPCC National Committee, the Standing Committee of the All-China Federation of Industry and Commerce, the Chairman of the Zhejiang Federation of Industry and Commerce, the China Industrial and Commercial Bank of China Chairman of the presidium of the Economic Association, president of China Electrical Equipment Industry Association. Nan Cunhui has been recognized as the "spokesperson of China's emerging private enterprises," has been awarded the "outstanding Chinese characteristics of the builders of socialism", "CCTV2002 China Economic Person of the Year", "Eleventh China Top Ten Outstanding Youth" The first Chinese outstanding private entrepreneurs "," China's overall well-off special contribution figures "and other honorary titles. Shanghai Dianke Electric Appliance Technology Co., Ltd.
Noark Electric (Shanghai) Co., Ltd.
Zhejiang Chint Auto Parts Industries Co., Ltd.
Zhejiang Chint Electric Cable Co., Ltd.
Shanghai Electrical Apparatus Research Institute (Group) Co., Ltd. (hereinafter referred to as the division group), formerly known as the Ministry of machinery industry of Shanghai Electrical Apparatus Research Institute, founded in 1953, is under the research of China's electrical industry more professional and comprehensive industry, the former State Ministry of machinery industry subordinate institutions. In July 1999 in accordance with the requirements of the State Council for the conversion of scientific and technological enterprises, under the Shanghai city. By the end of 2004, by the Shanghai Municipal People's government approval, the implementation of the overall restructuring, the first to achieve the diversification of Investment Subject Research Institute restructuring. After the reform, with the modern corporate governance structure, and gradually improve, the electric division group to further accelerate the pace of development in science and technology innovation, technology services and industrialization of scientific and technological achievements, increase R & D equipment, testing equipment and service industrial park investment, has formed a set of scientific and technological innovation, the service has a science and Technology Park and three industrial and service innovation the base of national product testing, system integration solutions and provide high-tech products as one of the enterprise group. The electric division group currently employs more than 1700 people, professional and technical staff accounted for more than 76% (including high, intermediate technical titles more than 31%), has included the national new century talents, millions of national intellectual property talent and country construction division, director of the national quality system auditor and lab assessors, have hundreds of outstanding talent experts, the government of the State Council the special allowance of leading talent in Shanghai and Shanghai City, the outstanding academic leaders. In sixty years, the electric division group has made more than 3000 scientific and technological achievements. Especially in the past ten years, in addition to a number of national 863 project, the Ministry of science and technology and the Shanghai municipal key major science and technology projects, has made more than two national and provincial prize of the science and technology and industrial achievements more than 90 national patents, hundreds of (where 1/3 is a patent of invention), software copyright number 100. A large number of achievements in science and technology industry has become the leading products of various enterprises in our country, and contributed to the technological innovation and technological progress of the industry. 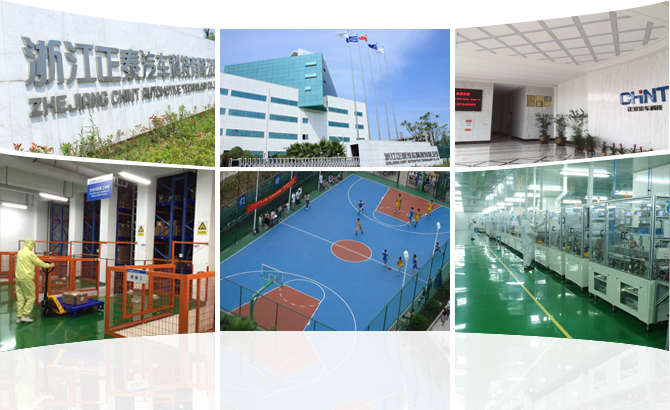 Electric Group has been identified as "national enterprise technology center", "national export commodities technical service center", "national enterprises and intellectual property unit", "Shanghai intellectual property demonstration enterprise" and "Shanghai patent demonstration enterprise". In July 2008, Dianke group won the first national joint named by the State Ministry of science and technology, the SASAC and the China Federation of trade unions "innovative enterprises". 2012 by the State Ministry of industry and the Ministry of Finance jointly issued the national technical innovation demonstration enterprise title". Based in Shanghai, the national service division group has for a number of national research and industry service platform in Shanghai. In 2009 to build a national small and medium-sized electrical engineering technology research center, 2010 to build a national smart grid client (system) product quality supervision and inspection center ", in 2011 to build a" national energy smart grid user terminal electrical equipment research and Development Center (Experiment) ". 2012 approved the national energy low-voltage electrical and electrical equipment (system) assessment center". Through a series of new construction, enhance the integration and ability on motor system energy saving, intelligent appliances, intelligent transportation, smart grid client and key common technology and many other industries, and built a set of research and development, testing, standards for the development of innovation service platform, with the international advanced level, the formation of a new innovation service capacity. To promote the development of emerging industries. Intelligent electrical industry group combining development as a comprehensive technology in China, electric motor, intelligent transportation industry overall solution research and industrial technology provider, the division group always adhere to the "technology pilot, pilot, pilot industry service" business philosophy, focus on strengthen technological exchanges and cooperation with domestic and foreign counterparts to open the through the intelligent electrical equipment / system, technology and industry, motor / system energy saving technology and industry, intelligent transportation system / technology and industry, the smart grid client products and systems and networks, marine electrical system / technology and industry, and electrical alloy materials and intelligent electrical detection and media services, exhibition and other fields unremitting efforts, innovation in science and technology to create a leading quality, shaping the corporate brand to continue efforts, quality service to create customer value. In sixty years, the electric division group meticulously brought the development of the industry, creating customer value, to help employees grow and become more social; scientific and technological enterprises the domestic first-class, internationally renowned intelligent electrical industry; a step ahead, the pursuit of excellence in the enterprise core value concept; learning, innovation, cooperation, team spirit of enterprise the core concepts and the development of the matching concept, management concept, management concept. Continue to create and build a series of enterprise core values, enrich and enhance the "power" of the brand connotation and value, enterprises and employees of common development and growth, the common development of enterprises and society and progress, the electric division group has won the national machinery industry civilized units, Shanghai city civilized units, the national labor award and the honorary title continue to write, interpretation, Shanghai Dianke group's new history. Neoera G Electric is a focus on intelligent low-voltage electrical appliances and the globalization of operations of the company. Global employees of about 1000 people, technical staff accounted for more than 10%; European and North American employees more than 60 people. Neoera grams of European headquarters in Czech, Prague; North American headquarters in Losangeles; Asia Pacific headquarters in Shanghai Chinese. With the world's leading to the design, material selection, precision manufacturing process and strict inspection system, Neoera grams to build "EQA protection" (Excellent Quality Assurance) system, provide first-class quality assurance industry leading to the customer; at the same time, Neoera g won the United States UL, Holland KEMA, Germany TUV etc Ex9M certification, its products are also awarded the design Oscar said the German Red Dot Award (Red Dot Design Award) product design award "". As of now, Neoera G has been for the United States, Czech, Poland, Romania, Ukraine, Australia, Japan, South Korea, Singapore, Thailand, Malaysia and other places of power, infrastructure and industrial customers to provide all kinds of high-end electrical system solutions, products have been widely used in Europe, North America, Asia Pacific more than and 30 countries and regions. Neoera G's Smart Unit series Inpower intelligent controller, intelligent power distribution system, Critical Power key Solarinel photovoltaic power system solutions and electrical solutions to achieve the depth of integration with the smart grid, improve the user's energy efficiency, provide lasting and reliable power protection in a variety of harsh and special environment. InPower intelligent power distribution system, the unique all SmartUnit series of intelligent communication controller and intelligent electrical InServer server, make all kinds of complex analysis, easy to realize intelligent power monitoring, remote control, power system fault alarm. Whether it is intelligent community, office buildings, factories or photovoltaic power plants, experience an unprecedented simple and convenient, experience affordable intelligent technology systems. Critical Power key power system solutions, based on the rapid switching between standby power to provide reliable protection to ensure the continuity of key power supply equipment to achieve stable power output. With high reliability, high stability, high continuity of the three characteristics, make your electrical equipment smooth and efficient operation. The solution of Solarinel photovoltaic system, so that the new energy at your fingertips, flexible and convenient, safe and reliable. In the world more than 1GW kinds of photovoltaic power plants, civil roofs and BIPV applications continue to be verified. No matter in the Tibetan Plateau, Indonesia tropical rain forest, or low temperature and other harsh environment, safe and reliable use of up to 25 years in the global number of application examples and all kinds of certification authority, highlighting the strength of the electrical technology Neoera G.
Zhejiang CHINT Automobile Technology Co., Ltd. was founded in 1996, is located in Wenzhou Binhai Economic and Technological Development Zone twenty-one Road No. 338, a total construction area of about 50 thousand square meters, the Department of CHINT group, a subsidiary of one of the core subsidiaries, the legal representative and chairman of Mr. Nan Cunhui. The company specializing in the production of automotive relays, switches, sensors, electronic horn, five series of products, and has independent automotive electronics technology research and development center, to provide professional automotive electronics system solutions for customers. In more than and 10 years, the company attaches great importance to product development and technological innovation, focus on product series and modular development, has formed a professional automotive electronics research and technical team, in 2008 by the Zhejiang provincial science and technology department as a provincial high-tech enterprise R & D center, 2010 was recognized as national high-tech enterprises. Wenzhou patent model enterprise in 2014. Company to "famous brand in the world, the industrialization of the country" as the leading enterprise development by science and technology innovation. To "create value for customers, to seek development for employees, social responsibility as a business philosophy," harmony, modesty, pragmatic and innovative "spirit, improve the core competitiveness of enterprises, with the times, constantly seeking new development. Chairman Nan Cunhui has won the "outstanding Chinese socialist builders" and "China Ten Outstanding Youth", "World Youth Entrepreneur Award for outstanding achievement", "CCTV Chinese economic person of the year", "China business leaders" and the honorary title, and was elected to the nine Congress, ten session, eleven session of the National People's Congress, Chinese industrial economy the twelve session of the Standing Committee of the CPPCC National Committee, Federation Chairman of the Bureau, the Standing Committee of the National Federation, chairman of the Zhejiang Provincial Federation etc..
Zhejiang CHINT Cable Co., Ltd. is a subsidiary of CHINT group manufacturing wire and cable products professional company. Company registered capital of 200 million yuan, the existing total assets of $600 million, covers an area of more than 60 thousand square meters. The main production of 35KV and below power cable equipment, wire, cable, electric wiring, photovoltaic inverter cable, wind power cables, low smoke halogen free cables, fireproof cables, rubber sheathed cable, cable rail, elevator cable, pre branch cable, optical cable, Aluminum Alloy electric composite cable, mine cable and 10KV and below cable accessories and other more than and 20 series products. The company currently employs more than and 600 people, of which more than college engineering and technical personnel accounted for 15%, intermediate technical titles accounted for about 10% of staff, senior titles and graduate qualifications accounted for 3%. In 2014, the company to meet the needs of the rapid development of the market, to achieve local services, investment 100 million yuan in Shaanxi Xianyang set up CHINT Cable Factory Northwest (Shaanxi CHINT Cable Co. Ltd.), covers an area of 300 mu, expected production capacity will reach 3 billion. The company attaches great importance to the quality of the products and technology R & D, invested in product development and technological transformation, the introduction of three layer coextrusion high voltage XLPE line, Germany hikora online derivometer and other advanced production equipment, and built a laboratory with the domestic advanced level of equipment, the partial discharge detection system of American company Sipho, in strict accordance with the requirements of the test test the GB and IEC standards and methods to meet the quality control of each link of finished products from raw materials to the. Since 2006, the company has developed in line with EU standards of low-voltage bipolar and unipolar cable, with supporting line visual medium voltage overhead cable, integrated spiral waterproof type spiral buried cable, visual medium photovoltaic cable, and has passed the Holland KEMA, Italy SGS and UL and other international certification, won praise customers, and achieved good the social and economic benefits. The company attaches great importance to the quality of products, has invested in product development and introduction of the equipment, a three layer of high voltage XLPE line, the German company SIKORA online derivometer and other advanced production equipment, to affect the quality of products "person, machine, material, method and environment" and other factors are included in the scope of control, set up test center has the domestic advanced level, the introduction of HIPO partial discharge detection system, tested in strict accordance with the test requirements of GB and IEC standards and methods to meet the monitoring all aspects of finished products from raw materials to the. The company's products have covered all over the country, and exported to Italy, Germany, Russia, Cyprus, Mongolia, South Africa, Zambia, Indonesia, Laos, Pakistan, Bangladesh and other countries and regions. With the development of global economic integration, the company relies on CHINT group's strong strength, as in the past will increase in technology, technology and equipment investment, "the famous brand in the world, the industrialization of the country" and make greater contribution to. Shanghai CHINT Power System Co., Ltd. (hereinafter referred to as CHINT power) was founded in 2009, is an important member of CHINT group photovoltaic power generation industry chain. CHINT is committed to providing the power performance of photovoltaic inverter equipment, excellent energy converter equipment and power quality management equipment for the new energy and power industry, providing intelligent system perfect solutions for users. CHINT power system has a full range of 1.5KW-2MW photovoltaic inverter, the maximum efficiency of up to 99%, to meet the needs of household roof systems, commercial rooftop systems and large-scale photovoltaic power station systems and other projects. Products have passed VDE4105, VDE0126, CEI, 0-21, RD1699, G59/G83, C10/11, UL, CSA certification test and other international authoritative golden sun, has Shuwushiduo core patented technology. The products have been exported to Germany, Italy, Holland, Belgium, the United States, Canada, South Korea, Thailand, India and other countries and regions, and provides the inverter system for multiple power plant solutions at home and abroad. The project in 2012 has won the Shanghai City strategic emerging industry projects, transformation of 100 national key new products, high-tech achievements of ten titles, the German red dot award more than and 30 awards and financial support. Back in 2013, the internationally renowned New Energy media GTM on the evaluation of inverter companies, CHINT power was named the world's most competitive inverter companies top ten. 2014 issued by GTM global shipments ranked thirteenth; 2015 issued by IHS global shipments ranked eleventh; 2015 cumulative shipments of more than 4GW; the export business accounted for 50%; by the end of October 2015, a series of photovoltaic inverter sales beyond international well-known enterprise SMA North American commercial roofing industry first became three-phase group. CHINT group was founded in 1984, is China's leading enterprises in industrial electrical appliances and new energy leader. CHINT annual sales of about 40000000000 yuan, more than 30 thousand employees. Industry coverage including generationtransmission and distribution, with "power equipment industry chain, and the layout of city rail transportation, energy equipment manufacturing, new materials, energy storage, Internet investment and financing platform and enterprise incubator etc.. Products sell well in more than and 120 countries and regions, and has entered Europe, Asia, the Middle East and Africa and other international main supporting market. The overall strength of the group ranked the top 500 private enterprises in Chinese, the amount of tax payable for many years among the top of all kinds of manufacturing enterprises in Wenzhou. Group's Zhejiang CHINT electrical Limited by Share Ltd is the largest domestic low-voltage electrical industry production and sales of the largest enterprises, but also the first low-voltage shares in Shanghai A main business of listed companies. CHINT solar built hundreds of photovoltaic power plants in the world, is the largest domestic private enterprises photovoltaic power plant investment operators. CHINT adhere to industrial development, innovation driven concept unwavering. The first through the ISO9001 quality system certification, ISO14001 environmental management system certification and OHSAS18001 occupation health and safety management system certification in the same industry in the country, through the mandatory certification Chinese (hereinafter referred to as "CCC" certification), and through the international CB certification, American UL certification, FI certification in Finland, Belgium CEBEC certification, KEMA certification in Holland, Germany VDE certification. Currently has a variety of patents at home and abroad more than 1000, and led, participated in the formulation and revision of more than 120 industry standards. CHINT adhere to the people-oriented, value sharing culture unswervingly follow the "create value for customers, for the development of employees, responsible for the society" business philosophy, and sincere cooperation, mutual benefit and win-win multilateral downstream. The company actively involved in poverty alleviation, donate, earthquake relief, social entrepreneurship, environmental protection and other social welfare charity. As of the end of 2015, has accumulated more than 300 million yuan donated to the society. The group has won the "China industry award", "National Quality Management Award", "Chinese outstanding private technology enterprise" and "China machinery industry the most competitive top ten enterprises" and "private enterprise independent innovation Chinese ten leading enterprises", "the contract and trustworthy enterprise", "national employment and social security advanced private enterprise", "China Charity Award" honor.